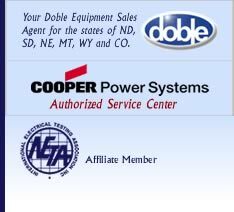 As an authorized Cooper Power Systems service center, we provide prompt support using only factory-trained, qualified technicians to meet the needs of our customers. We maintain and utilize an extensive inventory of Cooper Power Systems OEM parts, to ensure fast turnaround, while providing service on your CPS products. For more information, visit Cooper Power Systems. © 2006-2007 Electro-Test and Maintenance, Inc. All rights reserved.